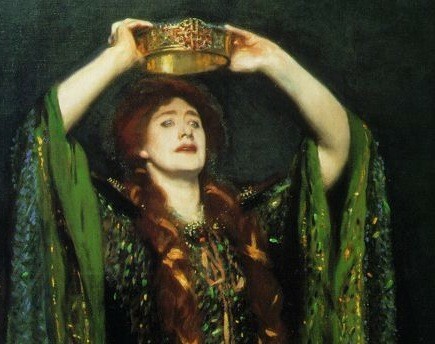 Lady Macbeth felt guilty about the killing of Macduff's wife and children because Lady Macbeth was a wife and had children, and she could easily be the next one to be killed. Lady Macbeth is sly because she was the person who planned the plan to kill the king, and to put the daggers next to the guards and to kill them. 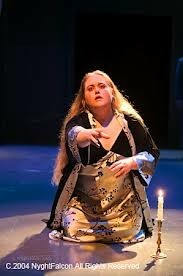 Lady Macbeth is evil because she is the one who wanted to kill king Duncan and the one who wanted to become queen. I think that this story is very interesting. I think that it is very interesting because, not only because it was written in mediaeval times, but because it had a good meaning to it. For example in this story they show the golden rule which is, do unto others as you would like to be treated. In the story the golden rule is used when Macbeth killed King Duncan, Banquo, and Macduff's wife and children, all of his noble men leave and join the English and Scottish side, and in the end Macbeth is killed by Macduff because of all the evil he did.